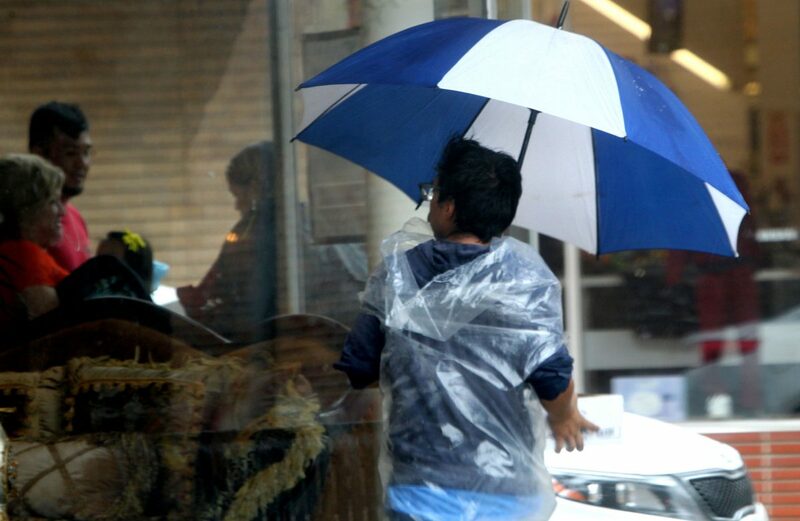 Temperatures in the Rio Grande Valley dipped to the low 60s after a cold front brought showers and windy conditions Monday, Oct. 15, 2018, in McAllen. 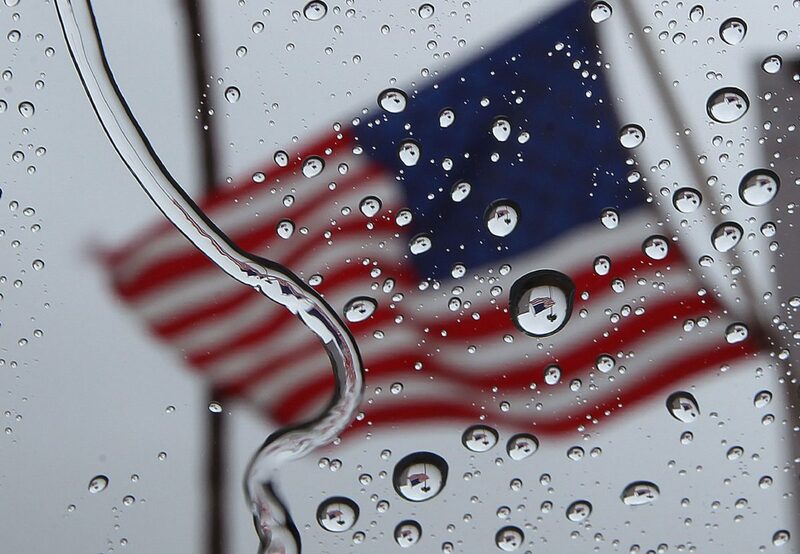 Rain drops are seen on a window as the American flag blows in the wind on Monday, Oct. 15, 2018, in McAllen. Temperatures fell 20 degrees at noon from the high 80s to the low 60s, bringing in the first signs of fall.